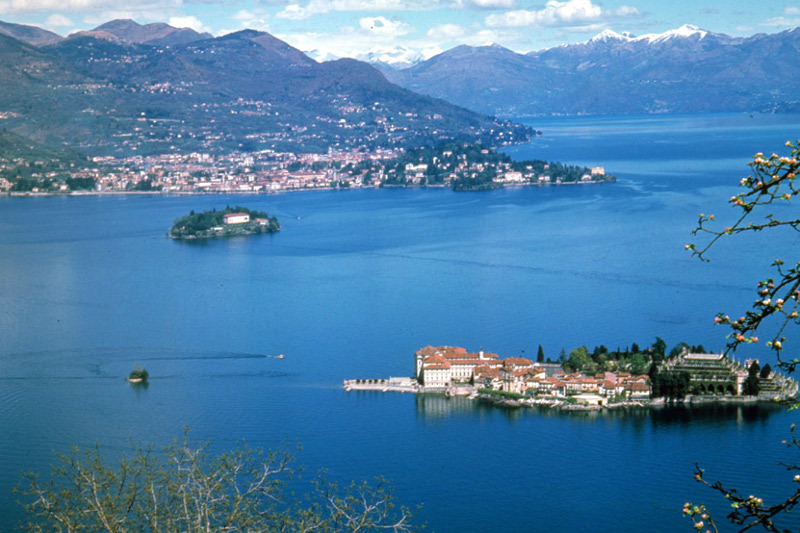 The two villas, Villa Azalea and Villa della Quercia – both of which offer guest accommodation – are located on a hill overlooking Lago Maggiore and the Borromean Islands, around 400 metres from the historic town centre of Verbania Pallanza and the embarking point for the ferries, in a uniquely picturesque setting. This peaceful residential area, which boasts many beautiful gardens, is known as ‘La Castagnola’. The first villa, Villa Azalea, is a 1930s Art Deco building surrounded by a garden. The second, Villa della Quercia, dates back to the first half of nineteenth century and is set in grounds of 15,000 square metres. 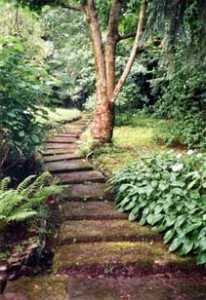 The garden and grounds are connected. Weather permitting, guests at both villas are served breakfast on the terrace of Villa della Quercia, with a view of the gardens and lake. There is a car park on the property. The earliest records of Villa della Quercia date back to 1830. The villa, which has 17 rooms on three storeys, and is set in beautiful grounds, was originally known as “Villa Mirasole” and was the holiday home of the Ferraris family. In 1913 it was purchased by an English aristocrat, Edward Capel-Cure, who renamed it “Villa della Quercia”, after his pen name (Gian della Quercia, whose novels include ‘Il Risveglio’. Many of Edward Capel-Cure’s works have recently been reprinted in English). In 1916 Capel-Cure became English ambassador in Rome, and made the villa available to host meetings for Europe’s politicians and diplomats. In the run-up to the Second World War Villa della Quercia also played host to the British Prime Minister Neville Chamberlain. In 1959 the villa changed hands, from Edward’s daughter Bettina Capel-Cure to the Malfatti di Montetretto family, which in 1973 sold it to the owners of the neighbouring property, the Leccardi family. The villa was recently renovated throughout. It opened to the public as a hotel in 2010, and boasts all modern conveniences (lift, wifi). The grounds of Villa della Quercia cover a large area for visitors to explore: from a path that winds its way among rock formations the villa gradually comes into sight, surrounded by ancient camphor trees. Flowering species in the grounds include azaleas, camellias and hydrangeas, as well as the beautifully scented oleans fragrans (which come into bloom in the second half of September), not to mention rare species from various parts of the world (such as dogwood and Phoenix Canarinensis). The grounds also feature majestic sequoias, cedars, podocarpus, horse chestnut, maple and plane trees. The wonderfully mild climate of Lago Maggiore is the perfect home for lemon and orange trees too. The villa also offers spacious lawns for sunbathing or simply relaxing in the peace and quiet.